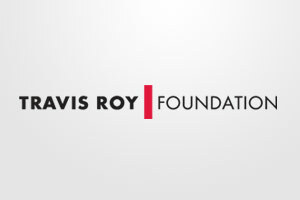 Take some time to meet the hard working and dedicated volunteers that help make The Travis Roy Foundation what it is today. Every year, a dedicated group of Vermonters comes together to organize our Travis Roy Foundation WIFFLE Ball Tournament, now in its 17th year. From recruiting teams, maintaining the grounds, and organizing the three-day event, this group dedicates their time over 6 months to put together what we proudly call "the best weekend of the year." Last year, the event that these folks pulled off raised almost $600,000 to support adaptive equipment grants for spinal cord injury survivors and researchers working towards solutions for SCI. We are so fortunate to have them working on our behalf! Pictured from left to right - Kurt Carpenter, Judy Galdi, Hank Hayes, Beth O'Connor, Caroline Rose, Jim Carter, Sue Bentlage, Pat O'Connor, Danielle Williams, Travis Roy, Ron Rose, Michael Moshevetis, Belinda Davison, Tim Gendron, Tanya Carpenter, Helen Murdoch, Bruce Bosley, Jane O'Neill. Members of the team who are not pictured include Moira Deziel, Mario Fontana, Bill Livingstone, Larry Rieger, Sasha Vault. 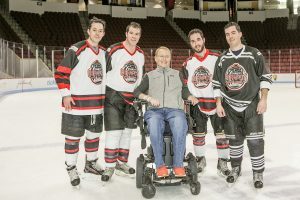 Dan Mensinger has been working with the Travis Roy Foundation for many years to help build and maintain its presence online. 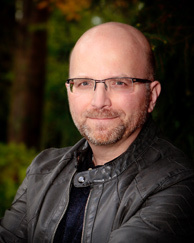 Dan enjoys both web design and development and understands the importance that a well-built site can have in spreading awareness for an organization such as the TRF. He is happy to work alongside such a great team that can have a huge impact on individuals and their families. 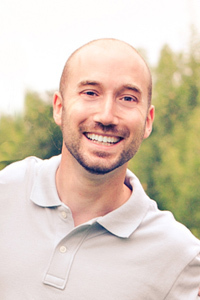 When not developing websites, Dan enjoys snowboarding, hiking, and watching movies. He is a proud husband and father of two human children and two cats. Elyse’s interest in writing and communications began when she was in second grade, and her later-developed interest in hockey and healthcare helped her discover the Travis Roy Foundation. She has been editing and writing content including grantee success stories, social media posts, newsletter articles and press releases since the spring of 2012. She admires the bravery, dedication and heart that Travis possesses to tell his story every day. 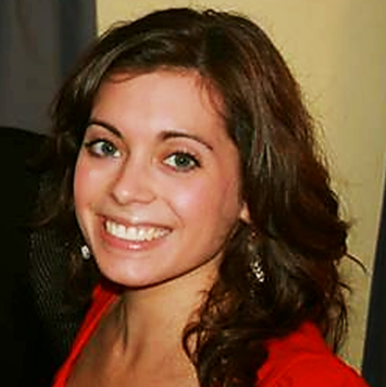 Elyse graduated with a degree in Journalism from UMass Amherst and works for a healthcare organization in Boston. In her spare time she enjoys boxing, reading and spending time outside. Lynn Edwards joined the TRF foundation last year after retiring from teaching sixth graders for 20 years. She has known Travis since his accident as he is a close cousin to Lynn's son-in-law, Trey Stowell. Lynn often told her students about Travis and his accident. She had two copies of 11 Seconds on her classroom shelf and the books were frequently read. As a social studies teacher, Travis's name came up every year while doing lessons on character and resiliency. Lynn was motivated to offer any assistance she could to help the foundation. Her connection to the Roy family made her aware of the daily challenges they were facing. She embraces the communication she has as grantees quickly respond to her requests to help spread the word of the importance of the foundation. Lynn is thrilled to finally have some time to be part of such an exceptional family foundation. 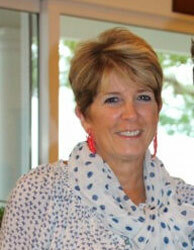 Lynn's interests are reading, tennis, golf, skiing, yoga, photography, and being an active "Mimi" to her four grandsons. Meagan's interest in the Travis Roy Foundation started when she was a student at Tabor Academy, Travis' alma mater. After hearing him speak at both Tabor and Boston College, she was inspired by his story and took action to become more involved in the foundation. Meagan ran the Boston Marathon in 2015 and 2016 on Team TRF. As Running Coordinator, she works with runners to find local races, helps with fundraising to meet goals, and motivates them through training. 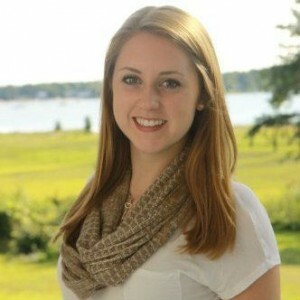 Since graduating from BC, Meagan works as a project manager at DigitasLBi, an advertising agency in Boston. She enjoys running, reading, and traveling.